Get it on the iTunes store HERE. Get it on Stitcher HERE. Treney Tweedy is a native citizen of Lynchburg. She grew up in Rivermont, and is a graduate of E. C. Glass High School. Following graduation, she served as a Journalist in the United States Navy. After returning home, Treney graduated from Lynchburg College where she earned a Bachelor’s Degree in English. Treney has lived in Lynchburg for the past 23 years and is an 18-year Timberlake resident (Richland Hills). She has three adult children and is the proud grandparent of an adorable grandson. Treney has spent 22 years serving the citizens of Lynchburg. Treney served six years on the Lynchburg City School Board as a District 3 representative and served two of those years as the Vice Chairman of the Lynchburg City School Board. Treney currently works as a Senior Director for Workforce Development and Community Engagement for Goodwill Industries of the Valleys, a non-profit organization which strives to help people and families in our community achieve a better life through work and independence. Treney’s career experience includes working for both public and private businesses, as well as higher education in the Lynchburg community. Treney serves on the Step with Links Board, the Hill City Youth Football & Cheerleading Association Board and is a member of the Lynchburg Alumnae Chapter of Delta Sigma Theta Sorority, Inc. She has a strong Baptist faith and believes that helping others is a lifetime priority. She also enjoys home decorating, traveling and spending time with her family and friends. Treney has been appointed to serve on the Lynchburg Redevelopment & Housing Authority, the Lynchburg Youth Services Advisory Board and the Horizon Behavioral Health Services Advisory Board. She also received a Gubernatorial appointment by Governor Terrence McAuliffe and currently serves on the New College Institute Board in Martinsville, VA.
Hugh Ballou: This is Hugh Ballou, and I have the honor today. I am in Lynchburg, Virginia where I live. I have the honor of speaking to a native. Treney Tweedy: Yes, I am a native Lynchburger. Hugh: Burger. Treney, it’s a mouthful for me. Mayor Treney Tweedy. Hugh Ballou has its own challenge. Treney: Well, thank you for being here. Thank you for having me as your guest. We’re talking. Hugh: This is part of what we call The Nonprofit Exchange. We talk to people in social benefit work. They might be in government work, education, running a community for-purpose organization. We like reframing nonprofit to for-purpose. This is a live interview, but we are also recording and transcribing, preparing for the next issue of Nonprofit Performance 360 Magazine, which is going to be about partnerships and collaborations. I moved to Lynchburg 13 months ago. It’s been a very welcoming community. I noticed unlike a lot of places, people do work together in some communities, but here there is a whole community spirit of let’s attack the issues that are holding us back. Back in history, before the Civil War, Lynchburg was one of the wealthiest cities in the country. Treney: We were. We do understand our place in history. A lot of that was because of industry, because of being located by the river, and the tobacco industry, and many areas of utilization of the river alongside the city. Families and businesses grew along with it. Hugh: Lynchburg comes from John Lynch. Treney: Yes, who ran the ferry. The businesses back then utilized him. He helped develop Lynchburg. I know people don’t understand that. They often don’t get where Lynchburg comes from. It does come from the founder John Lynch. Hugh: It’s a great story. A lot of great stories here. Our story today is about how leaders in this city, and it’s a right-sized city. Not too big. We have 80-something thousand? So that started the conversation amongst the previous Mayor Joan Foster. When we were on the campaign trail, the poverty numbers came up. When we were talking about education and work force, the actual percentage rates, when they hit you in the face, that almost a quarter of the population lives under the poverty threshold, we think of ourselves as being that formerly wealthy city, a city of opportunity, a city where you have a church on every hill. We also have restaurants. We love to eat. We love economic development. We have a thriving downtown. So what’s going on that we still have a quarter of our residents living under that poverty threshold? Of that 24%, 9% of those are children who are living in that. Once you get the numbers, you understand where we are, many cities, we drive by poverty every day. Do we actually have the wherewithal or the gumption to say we are going to do something about this? We have a lot of faith leaders, faith communities, faith houses. We think we have a strong education system. We know we have a thriving economic system here and development. It’s not getting to everyone. Everyone is not seeing that opportunity. That is when the city manager, the previous mayor, Joan Foster and I sat down and just said, we are going to commit to talking about poverty every two weeks during our meetings. We are going to look at how to develop our plan of talking to nonprofits and organizations. Where is the first step? We went looking for plans. We didn’t really see the canned program, and this is what you are going to do to fix your problem. It had to be locally thought out and locally grown. The communication conversation, we knew we had to make it solely for Lynchburg and build it around Lynchburg. Hugh: That’s wonderful. I have attended two meetings recently. 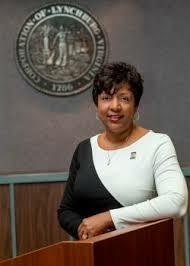 One was Mayor Joan’s last meeting. There were reports from some grants that the city had given two different constituents, and how they were working and working together was quite impressive. A few weeks ago, there was one with faith leaders in the community and how they are sharing things together. It’s another level of remarkable. You break the politician mold. One of the definitions of a politician is someone makes half the population mad at them. Treney: I can believe that. Hugh: I don’t know if that’s the standard definition, but it’s my definition. I experience a lot of synergy, a word which we are both fond of. As a conductor, ensemble is we synergize together. I see synergy in a broader sense. The spirit of what people are doing. It’s fair to say- we are recording this in October 2018. We are not at perfection. It’s a work in process. Let’s jump to the future as you and your colleagues have done work on this. What do you all see in the future? Have you looked at a future vision? Treney: Yes, it continues with the cooperation and the collaboration. We realized early on that government can’t do it all. We had to partner with nonprofits. While everyone has always partnered together in programming and events, this is how we move our community into its best future. That is shifting the idea of organizations that have been doing great work. Someone said, I can’t take credit for this, that we manage poverty well. How do we move people out of it? How do we affect that mindset and shift that thinking for families and individuals? We need the collective community—the nonprofit leaders, the volunteers, the education institutions—to help work with all of that, to shift the mindset. We have what I say, you always want or need more resources. We already have dollars coming into our city. How are they being utilized? How are they connecting to the issue at hand for us? A lot of organizations are serving the same people. When you actually look at the individual households and the families, they are the same folks who are maybe walking through different service buildings, different types of needs at different times. Prices that are coming into play. One catalyst for this work was our health care system. Centra system. Centra health care realized early on that they were serving a small number of families in the emergency room. It was costing a huge amount. About 1,100 people were costing them about $17 million in ER. It still wasn’t meeting our need of the crisis of that family or individual. They began to look at how we can spread out the medical services or the opportunities for people to have that better relationship with a health care provider that gives them ongoing assistance and management. They developed mobile medical clinics. They researched the specific street of life they are coming from. What are their health care needs on that street? That really began the conversation in part probably of people looking at our neighborhoods, our streets, our families, our homes. Tying the census track data to it. We know where folks in their households are. To be able not to affect that somehow with all the data available, all the technology. Centra created the mobile medical units that went around to each neighborhood and brought medical care to folks who couldn’t access it. Maybe a transportation system. What is a ten-minute car ride to get to a doctor appointment for you or I? It might have taken them an hour and a half to get on a bus and transfer. That just limits the mobility of folks to take their children and themselves. All of that is what began the greater conversation of the types of committees we needed in addressing the poverty issue. Child care. When somebody goes to work, do they have child care? Transportation system. How does our bus system get people to their necessary appointments, but also to a job that is on the outer part of the community? Not closer in downtown, but further out. How does that spoken wheel type of thing work? Do we have routes for people who are on the outskirts of the city? Or are they spending two hours to get around within a five-mile radius? What is that? We created those committees through the Poverty to Progress initiative to galvanize the community, to say, “These are what we think we need to do in reducing the challenges and the barriers.” Identified those. Asked the community, whoever wanted to, college students, seniors, youth, whichever neighborhoods you came from, work on a committee. Talk about the challenges. If we had resources, how would you apply them? The community identified the greatest challenges and how to begin to work on them. People change. That is a year of asking people to commit to need. What I am very pleased with is that city council also agreed that this is a challenge for our city. A unanimous vote, which happens, but maybe not all the time in a council setting. The unanimous vote came that we are 1) going to apply a position to work as the glue for this work, the connector, the liaison between city government, the nonprofits, and the citizens. They committed to half an individual salary that works in the city manager’s office. They also committed to grant funds, up to $5,000 each, up to $25,000 to have as what I call putting skin in the game. If someone has an idea to help our communities, whether it is individual research or some other funding source, we wanted them to be able to have the opportunity to apply for up to a $5,000 grant and then leverage that with either another nonprofit or another grant or other work that is going on to make actionable goals actually become reality. Each committee developed two actionable goals they would work on during the year with some funding tied to it. We have seen some great partnerships happen out of that. The biggest part of the work was breaking down the silos. Silos are a terrible word sometime. Getting people to talk to each other, sometimes entities that are responsible for federal dollars, state dollars, never really talk. Everyone needs their own system of data collection, their own outcomes. We are all still in one city. If you are responsible for human services work or social services work, and the city is appropriating funding, maybe there is another agency that is responsible for poverty reduction with federal dollars. If we never force the conversation, and everyone to come to the table to say what are the hand-offs, how come we are all serving the same families, how can we serve them differently. You may do this very well and have less funding. We have some money here that can be used, but we have never been able to do this work. It’s getting people to come to the table and getting them to talk. They may not have the plan laid out, so you have to come to the table ready knowing there is not one answer already there. We are working toward the answers. Every day that we have conversation, every day that we create the expectation that this is for the benefit of our community. I said it in several meetings, if you set the tone that we want this to be operating in the spirit of excellence. Whatever ideas, whatever resources, we want to put our best feet forward. We want folks to have stellar service and opportunities. Then we have to build it in that way. We can’t do things mediocrely. I feel like sometimes in the history over time, it was easier to be mediocre. We get to a certain level, and then it’s too hard. We work a grant, and then the funds are dried up, so the work goes away. But people still suffer. If you leave work half undone or you are not able to complete it or continue it, then you leave a neighborhood, folks who are sometimes left behind. There has not been a focus that has been on that neighborhood. Our students coming out of environments that are not healthy maybe for them. What do we do to make that better, improve? It’s all connected. Hugh: I mentioned a large portion of your work as mayor. I like to help clients do all kinds of things all over the world in reframing leadership as influence rather than authority. You can lead from your mayor position of authority, but from my experience, you are an influencer. You probably spend a lot of your time connecting and building relationships. You can pick something to delegate to. Who would do that? That person stepped up. Many leaders think delegation is a sign of weakness. You validated yourself a few times. You know delegation is a strength of leadership. You also understand we can meet some common goals when we come to our table. Besides being an influencer, you’re an encourager. I think sometimes people don’t think of that. As a politician, and that is what I appreciated about the previous mayor when she put me aside her as vice mayor. She had led dialogues on race and racism and healthy initiatives in our city. As far as being an organizer and understanding how to pull people together, I watched her do it over my first couple of years here. Coming into a political leadership if you will, I had the benefit of having worked for the public school division, sitting in on every school board meeting for eight, nine years, sitting in on joint city council and school board retreats. I was the public information officer, so I watched how leadership engaged and interacted and talked to staff and built their teams over the years with various city managers and school superintendents. Building a team of folks who understand their roles and allowing them to carry it out toward that mission or that vision just worked better. When you respect people for what they bring to the table, their background, their experience, they are invested, and they know they are part of a group doing some great work. You have to have the flexibility to have that freedom within yourself to say, It’s okay to let go a little bit. You watch and come back and are available to talk to folks about questions, concerns. How is this shaping up? Are we seeing the outcome? Are you seeing what’s expected? If not, what do we need to do? We are sometimes afraid to tweak the work. It’s important because there is no perfect solution out the gate. That is one thing about Poverty to Progress. Media stories will say, This didn’t go right. Where is the right and wrong? We are working toward something. We are local. We are home growing this if you will. We can go back and reset. We can reevaluate. That’s what we do with this process, with the Poverty to Progress. We merged with another group that was doing similar work from the regulation/policy side. It wasn’t about who started first. But they were a regional focus. We were Lynchburg-centric. We were really focused on Lynchburg. Once it became that they were pretty primarily working with Lynchburg residents and policy/regulation, another locality started looking at its own county to see what they could do for themselves because they were rural and we were city. We have merged the groups now, created a collaborative leadership team that is getting ready to meet. She has become a citizen volunteer now. I tell her if I leave, if other council members leave, that doesn’t mean the work should stop. How do you build that group of people, that process, whoever is in the seat, this work will still be a focus because it is part of our economic development, our eco-environment. We have to have successful families and individuals. We can’t leave a block or two- Our multi-million dollar development downtown, and you go three blocks over, and the average income is less than $20,000. I am throwing out a number. It’s just not good for the whole of the city. Hugh: We are close to the economic dividing line. Working with the churches on Court St is the dividing line. They are aware of that. There is a lot of stuff in there, a lot of information that represents very effective leadership. It’s effective. It gets traction. You have developed a system, so it’s not personality-centric. So many times, somebody builds a system around their personality. When they go, it crumbles. There is a lot of wisdom in that. There is a master plan for the city of Lynchburg. There are phases of that. As we moved in here August a year ago, streets were being paved. Treney: We still have work going on. Hugh: Even in that time, there has been remarkable progress. A bunch of unused buildings are now loft apartments. We have millennials and businesspeople and ordinary citizens and retired people moving downtown. We have a lot of restaurants in walking distance. With the development of business is coming our arts community. While we have new hotels downtown that have been renovated from hotels of the ‘50s that went through transition and became housing and its own Section 8 housing, or housing for college students, developers came in and renovated wonderfully older hotels so that creates new business, new folks staying. Also, our arts academy has been renovated. It will open in December. Historically for the city that is important because originally when the academy was in its heyday, persons of color could not go in, or they had to go through the separate entrance with the separate ticket taker, sit way up in the top. December will be the first show where we have all of our community able to walk through the front doors of the newly renovated academy downtown. We are excited about our new residents, lofters living downtown. The businesses that come behind it. We have global businesses that have our corporate headquarters here. They have understood the investment of staying here with us and putting their main offices downtown. We have an entire city that is developing. For a city of our size, we have six colleges or universities that are located within our city. We embrace Sweet Briar, which is a college that is in another locality about 15 minutes away. With so much education, with global companies and various industries that are here with us, we know we have all the tools to make Lynchburg an even greater city in our future. How does it all connect? How does it all interact and engage? How do our citizens become beneficiaries of all of that great building and development? You have to sit down with key leaders, education leaders, faith leaders. We meet with college presidents. We have a great volunteer base of college students and rec departments. How do we all make it work to create that great city that people benefit from? That’s that future vision: it’s not just in my head, but someone that everyone embraces in order to put it in their future plan. Hugh: I work with business leaders as well as education and some government. We fail to think about the business model for what we’re doing. We think we don’t have a business model in government or nonprofit or church when we really do. We tend to gravitate toward the bad name businesses as greed. We are looking at the triple bottom line businesses who are social entrepreneurs who are creating goodwill for everyone. I see that you have that mindset. As a leader, from where you sit, I want to piggyback on what you said in passing about you wish you could claim that progress. This is the relay in the Olympics. The first runner hands off the baton. This is your leg. You can get behind or ahead. You’re part of this journey. You’ve been handed a really good baton and are in the lead. We are also not competing against other cities. We are shining our own light. There is nothing that compares to Lynchburg. We are our own shining light. Some people get in this “I have to be as good as them” mindset, or they want to copy others. When you said there wasn’t a model, that’s good because no model would fit here. There is unique challenges. One is called Hill City. Treney: And there is a reason. How do you utilize that? It’s great exercise. We have super steep hills for anyone who’d like to come. We have a great quality of life. It’s affordable to live here. Young families can start buying a home here. They are not using all of their discretionary income on housing. We have those opportunities, walking by the James River or going kayaking or keeping our faces sunned with great parks and trails here. When people decide to move here and they bring with them new ideas and new insights from their experiences, new directors and folks who take key positions, spreading information and communication about how people can become involved, how they can help with projects downtown or in other parts of our city. Just the energy of working with businesses. When businesses locate, what I hear repeatedly over and over is they want their employees to have a great quality of life. The education system matters. The quality of life of the community, which are all of that, the parks and trails and entertainment and green spaces. All of that matters. When you keep it focused, for me, this hand-off of the baton is about the economic environment, how we integrate our neighborhoods and our folks who are living under the poverty threshold. How do we integrate them into that economic opportunity? How do we shift folks’ language and thinking about their everyday spending habits and wanting to spend more or wanting to be part of home ownership? What does all of this mean? That is why I think it’s important for us to work together, to create an education opportunity as well as folks becoming involved. You have to try to get people to cast the vision for themselves. Businesses need a work force. We have to make sure our citizens are trained with the credentials and skills that entry level jobs are requiring these days. Businesses can pick up and go anywhere with a good environment. Other people have rivers. Other people have parks. What makes us unique is that work force system that we create. Giving people the soft skills, the training and credentials in the industry sectors that are important to Lynchburg and are thriving here, matching them with jobs. We want people to have jobs and careers that pay them well in order for them to be contributors of the tax base, of our residences and neighborhoods through home ownership, and just a part of that American dream. It’s not a dream. It can be reality. It is reality. We feel like with all of this work, we are creating pathways for people. A great wise person once said in a class that I took, I can’t take credit for this, but we talk about the prison pipelines. When you are in a pipe, it’s hard to get out. You have one end or the other. The pipe is solid. If you create pathways for people, they are able to get on or off. They are able to take a detour. There is a way on. That is why in meetings we have, for me personally, I always talk about creating career pathways and life pathways, different options. The way you and I enter that highway of life may not be the same in our careers, but if you at least shine the light on this as the direction, how you get there is several ways. It will be a great benefit to you as an individual or to your family or children. Telling our story. Cities and localities don’t tell their stories well about what their city looks like. We do marketing and branding campaigns. What does it mean to be a Lynchburger? How do you feel when you walk down Main Street and you can talk to your neighbor or someone else while you are running up Monument Terrace? It’s an engagement of being in a city of 80,000. We are just big enough, but just small enough. I can pick up the phone and call our faith leaders. I can call our business CEOs and presidents. We can have Town & Gown meetings and invite them to the table. They are talking to us about their challenges, and we are able to lay our challenges and successes out there, too. Each layer of leadership in this city, everyone is willing to sit down at the table. Hugh: That’s a key component. I don’t see the leaders who make it about them. It’s about us. It’s about the community. It’s about the impact we have on humanity. Even the churches who are very different, I told you a story before we started about four unlikely churches working together, building some platforms for people to connect. Anything we haven’t touched on? I think we have covered a lot of stuff. Treney: We have. Hopefully I haven’t bored you too much. Hugh: I live here. You just gave away the secret of how good Lynchburg is. We have a lot of history here. I live across the street from the site of the Battle of Lynchburg. There is the Sandusky house. One of Thomas Jefferson’s homes is here. We have Monument Terrace. Those steps are the equivalent of eight floors. Treney: They are. Everybody uses it often every day every week. But also, it means a lot to our veteran community. We have a strong veteran community here. I served in the Navy for a couple years. I enjoyed my time there, which taught me discipline and collaboration. That is where I started my public relations work. It has continued from my early years as a young adult. Our veteran community here has met at the foot of Monument Terrace every Friday for over 350 weeks or so. It has been incredible. I think the last time I was there was at 52 weeks, several weeks had gone by. But it was at the start of the war. They were at war. To show support of the troops, to show that home was still praying for you and still connecting and still caring about you, they began to meet every Friday at 12 until 1. If you go out there. Treney: They were there. They group up at the end right at 1. It’s one hour. That community at the base of Monument Terrace, which is a recognition of all the previous wars and the persons who lost their lives, that type of every Friday for years just meeting to support and show respect is this community. They come from the other localities. It’s not just Lynchburg resident folks. It is veterans from Korea and Vietnam and folks who come home and know. That is the community that- We reference the faith leaders, but we also have a strong veteran community. We are not located near an active duty base like Norfolk or the Pentagon or the Virginia. But we have a lot of veterans that just support several efforts. They come together and create that idea that we all care. We all collaborate. We all work together. That is an example. I just wanted to share with folks the commitment that individuals and organizations in our community have. We respect that and the work they do. Everyone has something to contribute. Hugh: There is an anchor when you say that we respect. As we are wrapping up this really good interview, any particular thought, challenge, or tip that you would like to leave with leaders? We mostly have nonprofit leaders, but we have all kinds of people who listen and read. Treney: Be open to new experiences. Be open to working with new people. Everyone has a voice or background or experience or story that you can either glean something from or contribute toward the work you do. You may be able to share your story or narrative with other people. When we do that and we open ourselves for learning and connecting with others, or the respect factor or listening, you will see great things happen. You really will. Hugh: Very good words. Treney Tweedy, thank you so much for sharing. © Copyright 2018 SynerVision Leadership Foundation.